Prince was known as "Mad Archer." He had acted as a "super" in the provinces and at the Adelphi. He harbored an all-consuming hatred of William Terriss whom he accused of "blackmailing" him. He probably meant "blackballing" because, despite Breezy Bill’s frequent kindnesses and a letter to the directors of the Actors’ Fund, Archer had been told he would not receive further grants. On December 16, 1897, he waited across Maiden Lane until Terriss appeared at 5:00 PM ready to star in Secret Service and stabbed him three times—once through the heart. Last evening Mr. William Terriss, one of the most popular actors on the London stage, was assassinated at the private entrance to the Adelphi Theatre in Maiden-lane, Covent-garden. He had spent the afternoon with some friends and had gone home to dinner at about 5 o'clock. Subsequently, he proceeded as usual to the theatre, where he was taking the chief part in Secret Service, and, on reaching the private entrance, he was suddenly attacked by a man between 30 and 40 years of age who stabbed him in the region of the heart and again in the back. The weapon employed is described as a long, thin-bladed knife. Mr. Hayward, house physician at Charing-cross Hospital, was the first medical man to arrive, and, seeing the nature of the case, he at once sent for Mr. W. H. Morgan, the house surgeon, who found Mr. Terriss lying on the floor of the private passage of the entrance with a wound over the heart about an inch long. Mr. Morgan at once returned to the hospital to obtain the instruments necessary for the transfusion of blood, but, on his return, Mr. Terriss was dead. The body was afterwards taken upstairs when two other wounds in the back were found, one being under the left shoulder blade. Mr. Waterhouse, honorary surgeon on the staff of the hospital, arrived after death and pronounced it to have been a hopeless case from the outset. The assassin is known by the name of William Archer, or William Archer Flint. Some years ago, he was employed as a supernumerary at the Adelphi, one of the pieces in which he appeared being In the Ranks. It is understood he had frequently applied to Mr. Terriss and other members of the company for help, and a great deal had been done for him by them. Recently, however, he had become so importunate in his demands that Mr. Terriss refused to do anything more for him but referred him to the Actors' Benevolent Fund from which association he received a grant. For several nights past, Archer had been noticed hanging about the private entrance to the theatre, and, on Wednesday night, it is reported, he made an inquiry of the stage-door keeper as to Mr. Terriss's whereabouts. He is said to have been known in the theatre as "Mad Archer," but the stage-door keeper and others last night expressed a doubt as to whether he is insane. At the time of the dastardly occurrence, the house was full, and Secret Service was about to begin, when Mr. Budd, the assistant stage-manager, went before the curtain and explained that the performance could not take place, but that all money would be returned. The audience, who were not informed of the exact nature of the occurrence, quietly dispersed, and the theatre was at once closed. The knowledge, however, that something serious had happened to so popular a favourite quickly spread throughout the neighbourhood, and the absence of life about the main entrance to the theatre gave rise to much curiosity as to the cause of the extinction of the lights over the porch and the closing of the doors. It was not long, however, before the truth leaked out, and many anxious inquirers found their way round to the quiet little thoroughfare at the back of the theatre, which was the scene of the cruel ending of Mr. Terriss's life, only to learn that what was by this time reported in the streets was but the bare truth. Amongst all connected with the theatre, the utmost indignation at the crime was expressed, and an atmosphere of deep gloom hung over and around the stage door. Another member of the Adelphi Company further corroborated the statements previously made in reference to the personality of Mr. Terriss's assailant, mentioning that at the theatre he was generally known as "Mad Archer." When seen by Mr. Nicholls on the previous evening and told that he could not see Mr. Terriss, he is stated to have gone away murmuring "Not yet." The funeral was preceded by a memorial service held at the Chapel Royal, Savoy. There was a large attendance of members of the theatrical profession and others, those present including Lord Londesborough, Lady Bancroft, Mr. Furneaux Cook, Miss Kate Phillips, Mr. H. B. Irving, Mr. F. G. Latham, Mr. Luigi Lablache, Mr. Charles Sugden, Mr. Fred Upton, Mr. Davenport Adams, Mr. J. D. Tidd, honorary treasurer of the Dramatic and Musical Sick Fund, Dr. Donald Armour, and Mr. Frederick Davies. The service was conducted by the Rev. Paul Wyatt, the chaplain, assisted by the Rev. T. E. Franklyn. It commenced with the singing of the hymn "When the day of toil is done," set to music by Sir John Stainer. The first portion of the burial service was read, after which the hymn, "Now the labourer's task is o'er," was sung, followed by the anthem "O, rest in the Lord." An address was delivered by the Rev. P. V. Wyatt. He asked which of them gathered there that morning could by any possibility have dreamt that such a call would have brought them together. It was all so sudden and so cruel. One of them, in the very midst of life, health, and usefulness, esteemed by those around him, was struck down by a cowardly hand. The horror of it flashed through London from, east to west, and linked east and west in one common sorrow. Among all the testimonies which had been pouring in in Mr. Terriss's memory were the two utterances, which they had all seen that morning in print. "I did not know he had an enemy in life," and "I would have risked 20 lives to have saved his," were typical of the sentiments of those who knew him and loved him best. They seemed as if they could not get the dreadful tragedy out of their minds. The word "assassination," thank God, was unknown in England, and it was to be hoped it would ever remain so. [Actors] had ever a most appreciative audience because they knew there was the best teaching in those scenes of human life which they portrayed; they knew the morals of the English stage could no longer be talked of as being weak; that there was pure teaching, and that there were pure lives; that the teaching was getting ever better and the lives ever purer. [Members of the dramatic profession] would go back strengthened in the sense that the dead man's kindly life had made a deep impression, not only on all there, who were his partners in work but upon the hearts of all the English people. The hymn "Lead, kindly light" was afterwards sung, and the service concluded with the playing of the "Dead March." Yesterday afternoon, amidst a most impressive demonstration of public and private sorrow and sympathy, the remains of Mr. William Terriss, whose tragic death has for some days been an absorbing topic of conversation, were buried in Brompton Cemetery. In spite of a cutting wind, the hold which he had obtained upon the affections of friends and strangers—playgoers alike—could hardly have been more abundantly proved. Never, perhaps, have these grounds been more densely thronged. Long before the interment took place the influx began, and it is computed that by the hour fixed for the ceremony—1 o'clock—no fewer than 50,000 persons were present. Fortunately, the police had little or no difficulty in maintaining order, though the conclusion of the service was followed by what at one moment threatened to be an ugly rush towards the grave. Sir Henry Irving was visibly impressed with a sense of the loss he had suffered by the death of his old supporter. Of course, all the seats in the chapel were soon occupied by mourners. The Rev. Mr. Vesy, chaplain of the cemetery, officiated, assisted by the Rev. Mr. Wyatt, of the Savoy, and the Rev. Mr. Pennington. The grave, a brick vault, is on the eastern side of the grounds, and on the slope in front of it were placed a large number of the wreaths. The words of comital were recited by the Rev. Mr. Vesey, who afterwards delivered a brief address…. If there could be any consolation for Mr. Terriss's wife and family in their great affliction, it would be found in that general expression of sorrow. Men and women alike had lost in him a friend. It was unnecessary at that moment to say much of the life of Mr. Terriss. His fellow workers in the noble calling to which he belonged, and which now stood higher than ever in public esteem, knew all that could be said on that subject. It might, however, be added that they might draw a great lesson from the events of the past week. If they were doing their duty in their calling, they would feel that there was always a great reward to be had in public appreciation. If they tried, as Mr. Terriss tried, to be ever conscientious in their work, they would derive great pleasure from the approval of that public which called upon them to portray before men and women all the complications of human life. They now left him in the hands of the Almighty—the only keeping to which those who were left would intrust him. This brought the ceremony to a close. The Queen, it is understood, has caused an expression of her sympathy to be conveyed to Mrs. Terriss. Richard Archer Prince, 32, actor, was indicted for the willful murder of Mr. William Charles James Lewin, otherwise William Terriss. In reply to the charge, which was read to him by Mr. Mead, the Deputy Clerk of Arraigns, who asked if he pleaded "Guilty" or "Not Guilty." The prisoner said. "Guilty, with great provocation." (Addressing the Judge.) "I have a favour to ask you my Lord. I believe it is the law of England to allow me the services of a Queen's Counsel to defend me." Mr. Sands, interposing, said he was instructed with Mr. Kyd to defend in the matter on instructions coming from friends of the prisoner. The prisoner: "I have no friends. My mother cannot afford a penny to defend me. If counsel are assisting in defending me, they must be paid by the people who drove me to commit this crime." Mr. Justice Channell: "You are not entitled by the law to have the services of a Queen's Counsel. On the contrary, if you desire a Queen's Counsel, he would have to get a licence to appear for you. You are entitled to be defended by counsel, or to defend yourself." The prisoner: "Thank you, my Lord." Mr. Justice Channell: "Assuming that you are in a position to decide which you will do, you have that choice." … The prisoner thanked his Lordship and said that would do. He agreed to be defended by the learned counsel who appeared. In reply to the Clerk of Arraigns as to his plea of Guilty or Not Guilty? The prisoner said: I plead "Guilty with the greatest provocation." Mr. Justice Channell: "Had you not better take the advice of your counsel? You are making a plea unknown to the law. If you insist on pleading 'Guilty, with great provocation,' I shall consider it as a plea for mercy." After a consultation with his counsel, the prisoner said: "My Lord, I am advised to plead "Not Guilty," and I plead "Not Guilty." The jury were then sworn to try the indictment. There could be no question but that he had some years ago conceived a violent hatred of Mr. Terriss and would appear to have been under the impression that Mr. Terriss was in some way preventing him from getting on in his profession. That was shown by statements made at different times to persons to whom he complained that Mr. Terriss was preventing him from getting employment and was blackmailing [blackballing?] him. As far as could be ascertained that was a complete delusion on his part. Mr. Terriss had, on the contrary, assisted him to obtain charitable relief and employment. The point at which the evidence in the case commenced was in October last, when the prisoner came in contact with Mr. Croydon, a theatrical manager at Newcastle, who engaged him to play a small part at 25s. a week. The Prisoner said it was important that it should not be known he was taking these small terms as he had played important parts in The Union Jack at the Adelphi, and that if he had been treated justly he would have been employed there at the present time. The prisoner called on Mr. Croydon on the evening of October 24, and Mr. Croydon noticed that he behaved in rather a peculiar manner. He said he had only left the Adelphi owing to the conduct of one man and that he might have starved but for the Actors' Benevolent Fund. He said he would one day be even with the man who had prevented him from getting further assistance. On October 25, the prisoner went with Mr. Croydon and his company to a place called Hetton, and there he went to the theatre for rehearsal. Mr. Croydon said it was found that he was incapable of taking any part in the rehearsal. The prisoner had suggested that the theatre might be closed to see whether he would be able to appear on that Tuesday night, but Mr. Croydon said that was out of the question, that the prisoner had behaved very improperly in obtaining employment, and was quite incapable of discharging the duties, and dismissed him. About the end of October, the prisoner came to London, and … took a room, for which 4s. was asked …One day after he had come to London, he went into the shop of Mr. Lorberg, a cutler, and there purchased a knife, as at the police-court he admitted. In October, he was noticed by the doorkeeper at the Adelphi waiting about the stage door, and upon one occasion he brought a letter for Mr. Terriss, which was handed to the doorkeeper, who took it to Mr. Terriss and brought back the answer that it was all right. The doorkeeper afterwards saw the prisoner loitering about in the neighbourhood of the stage door. About that time, he was seeking to obtain assistance from the Actors' Benevolent Fund and with the view of getting that assistance it was important that he should have the recommendation of a member of the profession, and there was no doubt he appealed to Mr. Terriss to get the necessary recommendation. On November 9, he obtained from Mr. Terriss a letter stating that he had known him (the bearer) to be a hard-working actor for many years. On the strength of that letter, the prisoner received various small sums from the fund. On December 12, three days after he had received the last grant, he was apparently in great distress for want of money. He spoke to his landlady and asked her if she could wait till the following Thursday when he would pay her a fortnight's rent for his lodgings, which she consented to do. On December 15, he was seen close to the stage door of the Adelphi, and he asked the doorkeeper if Mr. Terriss came in by that way. The doorkeeper, in his discretion, said he did, but as a matter of fact Mr. Terriss did not go in that way but used a private entrance in Maiden-lane. On the 16th, the prisoner went to the secretary of the Benevolent Fund to ask for further assistance and was told that the committee were not prepared to provide him with any more money. He seemed to have stayed for a few moments in the office and then walked out. He returned to his lodgings and told the landlady, Mrs. Darby, he could not find the money to pay her. After leaving his lodgings, he went to Maiden Lane and thence to the office of Mr. Denton, who did not seem to have noticed anything peculiar about him—nor had Mrs. Darby. That evening—the 16th—Mr. Terriss, who had had some business with Mr. Graves, a friend of his, drove down with him to the theatre in time for the performance of Secret Service in which he was acting. They arrived at Maiden-lane about 27 minutes past 7 o'clock and left the cab together. Terriss went to the private door and paused to take a key from his pocket to open it. He was in the act of stooping to put the key into the lock when, according to Mr. Graves, the prisoner seemed to rush from the other side of the road and inflicted a wound upon the deceased gentleman by stabbing him in the back. There could be no doubt that he stabbed him twice while he was in the act of putting the key in the door—once in the spine, in the middle of the back, then under the left shoulder. The deceased said. "Oh, my God, I am stabbed," and, as he turned round, the prisoner dealt him a violent blow with the knife, which struck him on the breast and stabbed him to the heart. That was the wound from which he died within half an hour. He never spoke again except to utter the words. "I am stabbed; arrest that man." Mr. Graves gave the alarm; a constable was quickly on the scene, and the prisoner did not make any attempt to escape. The prisoner walked with Mr. Graves and the constable to Bow-street. On the way there, Mr. Graves asked the prisoner what induced him to do such a cruel act. The prisoner replied. 'Mr. Terriss would not employ me, and I was determined to be revenged.' He said the deceased had kept him out of employment for ten years, that he should have to die in the street or else have his revenge on Mr. Terriss, and that the deceased had blackmailed him out of a lot of money from the fund. He used the word 'blackmail" but in what meaning was not known. Later in the evening, he said to an officer that he met his sister in the Strand that evening and asked her for assistance. She said she would rather see him dead in the gutter than assist him. The prisoner added. 'If she had given me 10s. this would never have happened.' He also said it was quite clear to him that she was in league with Mr. Terriss in blackmailing him. With regard to the commission of the crime and the facts surrounding it, there could be no question whatever that Mr. Terriss met his death as the result of the act of the prisoner, and that he was responsible for his death, and was presumed by law to be sane. The jury would, Mr. Gill thought, appreciate that the only question which could be raised in answer to the charge was whether the prisoner was sane or insane at the time of the murder. The responsibility of that rested with those who represented the accused. Having regard to the circumstances of the case the prisoner had, since his arrest, been under the close observation of the medical officer of the prison, and had also been seen by other medical men. The result of their examination had been placed at the disposal of the defence. With regard to the case for the prosecution and the evidence he was about to call, the jury would come to the conclusion that the prisoner was acting with the greatest deliberation, and that, cherishing a feeling of hatred against Mr. Terriss, he was uttering threats as to what he proposed to do. During the time he was in London at the end of October, he was obviously contemplating the crime, because they found him purchasing the knife and uttering the threats against Mr. Terriss. The jury had heard the whole of his movements on the day preceding the murder and on the actual day, when he appeared to have waited outside the private door until Mr. Terriss arrived, and, when he saw him, rushed forward and stabbed him repeatedly in such a way as to cause his death. The question which they had to decide was a very serious one and one on which they would not hastily come to a conclusion. They would, he hoped, in any event, dismiss from their minds all that they had read or heard in regard to the case. The whole of the evidence as to the state of the prisoner's mind would be laid before them, and they would hear what the defence would have to bring to their notice. He felt sure that they would give to all those circumstances that attention and deliberation which would enable them to decide on the momentous issue of the case. Evidence was then called for the prosecution. Mr. Thomas Lewin, an actor, said that the deceased was his father, and his professional name was William Terriss. He last saw him alive on the evening of December 15. On the following night, he saw him lying dead at the Adelphi a little before 11 o'clock. Witness did not know the prisoner. The prisoner: "I saw you once in The Harbour Lights." Witness: "That is perfectly false…"
Mr. Ralph Croydon, a theatrical manager, said that in October last he was with a company at Newcastle. On Saturday, October 23, the prisoner came and saw him in answer to an advertisement. The prisoner applied to him to engage him in his company, and he engaged him at 20s. per week to play small parts. Witness asked what experience he had had. He said his experience justified him in playing better parts, that he had played an important part at the Adelphi in Union Jack, and that he would have been there then but for one man. Witness saw him the next day. The prisoner had tea with some of the company. The prisoner repeated his statement that he would have been at the Adelphi but for one person, with whom he would be equal one day, and that he would have starved if it had not been for the Actors' Benevolent Fund. They went on October 25 to Hetton. At the rehearsal, witness found the prisoner absolutely incapable of playing any parts—he did not know the words, and he was ridiculously dramatic. The prisoner, in explanation, said his brain was gone, and that witness had better close the theatre till Tuesday. Witness left him with the stage manager to see if he would improve. When he returned, he found that the rehearsal had been stopped in consequence of the prisoner. Witness sent the prisoner away. The prisoner called next day to be paid, and witness said he had no right to take the engagement. The prisoner said he had a right and would have been at the Adelphi playing big parts but for one person. Witness asked who the man at the Adelphi was of whom he had been speaking. The prisoner replied that it was Mr. Terriss, who, he said, was 'a dirty dog.' Witness told him that he must be mad to talk like that. The prisoner said the world would ring with his madness before long. The prisoner said he had come from the Union Jack Company at Shields. Cross-examined. On October 25, witness noticed the prisoner was strange in his manner. He talked in a dramatic way, saying "his foot was on his native heath and his name it was McGregor." [Walter Scott's Rob Roy]. After saying that, the prisoner was not quite so dramatic. He spoke as a man who thought he had been wronged. Witness's wife told witness that at tea on that day a tin of sardines was being opened, and the prisoner asked them to put the knife away as he did not like the look of it. The prisoner's part was a very small one and could be learned in a few hours. The prisoner gave no explanation of his not learning it except that his brain was gone, and he seemed to resent their saying that he could not learn it. To the Gentlemen of the Committee. Gentlemen, the reason I have to ask for help is that I was out of an engagement for over 12 months before I received the last one and lost it through no fault of my own. All the time, I was in my last engagement I had to spend all my money in dressing the parts of Captain Morton and Sir Philip Yorke (these are characters in The Union Jack). When I left off on Saturday night, I had not a shilling to call my own. I have parted with everything I have in the world. My box is at the dock—for my fare and passage. I have nowhere else to go. I thought I might get something to do in town. For the last six or seven years, all the engagements I have had have taken the money I received from them to keep me on tour. It was taking me all my time to live without being able to save. If you will only help me to live for a week or two, I think I shall be able to get an engagement. Archibald King Holland, clerk in the office of the Actors' Benevolent Fund, said he saw the prisoner on the afternoon of December 16 at 4 o'clock, and told him that the committee were unable to entertain his application for further assistance. The prisoner turned round and left the room without saying anything. Mrs. Charlotte Darby, wife of Charles Darby, said she resided in Eaton-court, Buckingham-palace Road, and let lodgings there. In October, she let a room to the prisoner at a rent of 4s. a week. The prisoner said he came from Newcastle and that his luggage was on the boat. She spoke to him about the rent. He offered her 2s. She said she could not take 2s. as she wanted a week's rent in advance. He produced another 1s. and said he would pay her the rest on Saturday. She let him take possession of the room. On the following Saturday, he paid her the other 1s. He remained at her house up to the time of his arrest. While he was staying there, she saw the knife produced in the room upon more than one occasion before his arrest. The prisoner paid his rent regularly up to the last fortnight. She asked him for the rent, and he said. 'Wait a few days.' She waited, and on the Sunday he said. 'Mrs. Darby, can you wait till Thursday?' She said she would wait. He said he would pay her two weeks' rent on Thursday, that he expected a letter from his sister, and that it would be one way or the other. Witness did not understand what he meant. She said to Prince 'what do you mean?' He replied. 'That is best known to God and man.' The prisoner was cheerful while he was in her house and conducted himself as a gentleman. She knew that be was pawning his clothes. On December 16, the prisoner told her that he was sorry he had no money for her, and he added. 'What shall I do?' Witness replied, 'I don't know, Mr. Prince, I am sorry for you.' He asked for some hot water. She said she had not got any then. That was the last time she saw the prisoner before his arrest. Cross-examined: The prisoner had his meals in the room. She did not supply him with food. He used to have a meal of bread and milk when he got up and when he went out. He sometimes used to lie in bed late. The knife was lying about in the room for anybody to see. She never saw the prisoner use it for anything. She had seen marks on it as if it had been used for cutting bread. The prisoner's manner changed during the last two weeks when he could not pay the rent. He looked troubled. She could not say what was in a brown paper parcel which the prisoner had with him. George Lorberg, cutler, Brompton-road, said in October he had some knives for sale similar to that produced. The price was 9d. One evening in October, a tall, shabbily-dressed man bought one of the knives. When witness was giving his evidence at the police court, the prisoner said that witness wanted to sell him a shilling one and that he (the prisoner) said it was large enough to cut bread with. Cross-examined: It was not an uncommon thing for persons who had been employed at the theatre to wait about the stage door nor was it an uncommon thing for persons to come there to inquire in regard to others. William Algar, dresser to Mr. Terriss, said that on the night of December 15, he saw the prisoner outside the stage door watching the people going into the theatre by the stage door. On the night of December 16, witness was waiting for Mr. Terriss in his dressing- room, which is on the first floor, the window being almost immediately above the private entrance. He heard a shout 'Oh, my God! I am stabbed.' He looked out of the window and saw the prisoner strike Mr. Terriss a violent blow in the chest. The force of the blow seemed to bear Mr. Terriss down. Mr. Terriss exclaimed 'Oh, my God! I am stabbed. Arrest that man.' The prisoner stepped off the kerb into the road and seemed to want to get at Mr. Terriss again, but he walked to the opposite side of the road. There were then about a dozen people about. Cross-examined: The prisoner used the word 'blackmailing' of his own accord. He used the word three or four times on the way to the station in a disconnected manner. The Commissionaires' barracks are close to Maiden-lane, and commissionaires going there would pass along Maiden-lane. There is a large restaurant opposite the private entrance of the theatre and a public house a short distance away. Inspector Wood said he was at Bow-street when the prisoner was brought in by the last witness at 7 30 on the evening of December 16. Mr. Graves, who came with them, said, 'This man has stabbed Mr. Terriss in Maiden-lane as he was about to enter the stage door of the Adelphi Theatre.' Witness said, 'Where's the knife?' The prisoner produced it from under his cloak. The knife had bloodstains on it. The prisoner said. 'That's what I stabbed him with. He had due warning, and if he is dead, he knew what he had to expect from me. He prevented me getting assistance from the Actors' Benevolent Fund to-day, and I have stopped him.' Shortly afterwards witness learned that Mr. Terries was dead, and he charged the prisoner with murder. The prisoner replied 'All right,' and he gave his name and address. The prisoner had upon him some pawn tickets relating to articles of clothing pawned from November 20. The prisoner was perfectly calm. Cross-examined: Witness was more than surprised at the calmness of the prisoner's demeanour. Sub-inspector French said that at 7 35 on the evening of December 16, he went to the private entrance of the Adelphi Theatre and saw Mr. Terriss lying there with the doctors attending him. He remained there until Mr. Terriss died, and he then went to Bow-street and charged the prisoner with murder. The prisoner made no reply. Cross-examined: The prisoner seemed extraordinarily calm. His hands were clenched, and he seemed in a state of great tension. Mr. Denton, theatrical agent, of Maiden-lane, said he knew the prisoner. He first became acquainted with him during the run of The Harbour Lights. They were both playing in the company. Mr. Terriss was playing in the piece. Witness lost sight of him until October or November last when the prisoner called nearly every day at his office for employment. Witness tried to get him employment, and he offered him a week's engagement, but he would not accept it. On the afternoon of December 16, the prisoner called upon him and asked him if he had got him any employment, and he said he had not. Witness noticed nothing strange about the prisoner then. Mr. Gill said that was the case for the Crown. Mr. Sands, in opening the case for the prisoner, said seldom had counsel had a more difficult task to perform, for he could not shut his eyes to what had been said and written outside in regard to the case, as showing that the natural sympathy of the public was certainly not with the prisoner, but with the family and the friends of the deceased man. The jury's duty, however, was to consider what was really the state of mind of the prisoner when he committed the deed. The defence, in this case, was palpable and patent to all. An act had been committed, the intent of which and the effect of which it was impossible to dispute. That Mr. Terriss was killed by the prisoner was undeniable. In the ordinary course of law, an act of that nature resulted in but one verdict and one consequence. But the law, in its mercy, made this qualification—that the jury must be satisfied in estimating the intent with which a crime was committed that to make him criminally responsible the person who perpetrated it knew at the time the nature of his act and that he was doing wrong. He should venture to submit that the prisoner, when he committed that most terrible act, was not in a state of mind to realize what he was doing, and he should call witnesses who would speak to lapses of memory and strange behaviour on the part of the prisoner for years past, which, coupled with a sunstroke in his childhood and with grave delusions and an increasing failure of his mental capacities, would leave no doubt that at the time of that dreadful tragedy he was not responsible for his actions. He should bring testimony in proof of these statements, and he should then invite the jury to return a verdict indicating that the prisoner, though guilty of the act charged, was insane at the time, and thus not responsible for his actions. Evidence tor the defence was then called. Margaret Archer, the prisoner's mother, said he was born in 1858. In the same year, she was in the harvest field and left her baby in order to do some work. It was a very hot day. When she returned to him, he was blue in the face, and his eyes were bad. She took him to a doctor. After that sunstroke, he was a little bad tempered as a boy. He got very angry. He did not play very much. He stopped at school until he was 14, and then he went to work at a shipbuilder's. In the evening, he played as supernumerary at a theatre. About 1875, witness and her husband came to London. The prisoner afterwards joined them in London and obtained employment at the Adelphi. Witness went back to Dundee and did not see much of him. A few years ago, he came on a theatrical tour to Dundee. He went to live with her at Dundee eight years ago. He obtained work with travelling companies and at shipbuilding yards. He often said that witness doctored his food, and he also said that other people had done it, but did not say who. When he was out of work, he said that Mr. Arthur prevented him getting work, but witness did not believe him. Mr. Arthur was theatre master. When he spoke of Mr. Arthur, he used the word 'blackmailing.' She did not recollect whether the prisoner used the word 'blackmailing' with regard to anybody else but Mr. Arthur. The prisoner also used to say he was the Lord Jesus Christ. When he was in a bad temper, he complained that his tea was poisoned. He wrote plays, and he sang songs and hymns. His eyes would stare 'out of his head.' He left Dundee five months ago. His father had married before he married witness, and he had a son named David, who was mad when he was born. Witness had a son called James who was a cabman and coachman in London but who died about eight years ago. When the prisoner had his 'turns' or fits of ill-temper, he was sometimes very noisy, and looked wild, and said she had poisoned his food. Cross-examined by Mr. Gill: The prisoner did not learn very quickly at school; he was bad at taking up things. He was always a very vain boy and had a very high self-esteem. If anyone interfered with him, he was very cross. When he grew up, he had employment at several different places, working as a plater at shipbuilding yards. He very often complained of people trying to keep him out of work. He thought he was a grand actor. When witness said he had 'turns,' she meant that he had violent fits of passion, which put him wrong in his mind. At other times be was quite calm, and knew what he was doing. He said he left the Adelphi Theatre in order to get more money, to go in a travelling company. He said that he ought to have leading parts. When he was out of theatrical employment, he used to work as a labourer at Dundee. When he could not get theatrical employment, he was very depressed. When he was up in London the last time, she knew he had very little money, and he wrote to her saying that he was coming back to Dundee. When he said that he was Jesus Christ and she the Virgin Mary, he was talking nonsense. He used to talk nonsense sometimes. He said that the tea was adulterated. His brother James was thrown off a cab on to his head in London. Witness's husband was a ploughman, and he had four children by his first wife and five by her. David was one of the first family. David was silly. Re-examined: The prisoner had not, as far as he knew, been drinking when they had the quarrel. Dr. Bastian, who was requested…to examine the prisoner at Holloway, said he visited the prisoner there on December 31 and January 6. He had also read a number of letters written by the prisoner besides those put in evidence. He thought that at the two interviews he had with him the prisoner was of unsound mind and that he probably had been so for some time. For public safety, the prisoner ought to be in an asylum. The prisoner was excitable and incoherent in his conversation, and it appeared to witness that the prisoner's mind was saturated with delusions of persecution. The prisoner appeared to think that a number of persons, principally Mr. Terriss, had been black-mailing him, and he also said that Mr. [James F.] Elliston was one of the persons. He also thought that he was being poisoned by different people who, he thought, were emissaries of Mr. Terriss. The prisoner showed no remorse but seemed to think that it was an act of justice that Mr. Terriss should have been killed—that it was an act of justice brought about in some way by the intervention of the Almighty. Witness did not attach much importance to the sunstroke. The prisoner had an attack of some kind or other which might have injured his brain, and that would be a contributory cause. The fact that he could not get employment would aggravate his mental condition, and all the distress and anxiety which he suffered then would make his condition worse. The prisoner was evidently under the same notions some years ago, and they were complete delusions. Witness believed that the prisoner's act in killing Mr. Terriss was the result of those delusions, he having been under the delusion that Mr. Terriss was persecuting him. He did not think that the prisoner was capable of exercising self-control at the time. In cross-examination Dr. Bastian said, with regard to the purchase of the knife by the prisoner, he did not think the prisoner contemplated doing such an act a month before he did it. He did not attach any importance to the purchase of the knife. Mr. Justice Channell asked if it would make any difference in witness's opinion if he thought the prisoner had premeditated it. Dr. Scott, medical officer of Holloway Gaol, said he agreed with the evidence of Dr. Bastian and Dr. Hyslop. The prisoner suffered from insane delusions, and he was of unsound mind. Being cross-examined, he said he did not think the prisoner understood the quality of the act. He only knew the difference between right and wrong to a limited extent. Therefore it was that the law had said that the mere fact of insanity was not enough to make a person irresponsible according to law, but what was required to make a person irresponsible was that he must be shown to be, at the time of the committing of the act, labouring under such a defect of reason, from disease of the mind, as not to know the nature or the quality of the act, or, if he did know it, that he did not know he was doing wrong [the M'Naghten Rules]. Those were the words in which the law was laid down by the House of Lords. The learned Judge pointed out that there must be some disease of the mind from which the defect of reason arose. Mere moral deficiency which made a person think a thing right when mankind in general, and the law said it was wrong, would not be insanity which would prevent him from being responsible. It must be a disease of the mind which must go the length of preventing him knowing the nature and quality of the act or that it was wrong. Having referred to the evidence and to the testimony of the medical experts, who had expressed the unanimous and undoubted opinion that the prisoner was insane, the leaned Judge concluded by observing that the questions were, first, whether the jury were satisfied that the prisoner committed the act and, secondly, whether it had been made to appear to them that, at the time he committed it, he was not responsible, according to law, by reason of disease of the mind. The jury at 25 minutes to 7 o'clock retired to consider their verdict, and, after an absence of half an hour, they returned into the court. Mr. Justice Channell said the order of the Court was that the prisoner be detained as a criminal lunatic at Holloway until her Majesty's pleasure be known. The prisoner was then removed from the dock. Prince's relatively mild sentence was met with anger by the theatrical community, and Sir Henry Irving would later be quoted as saying. "Terriss was an actor, so his murderer will not be executed." 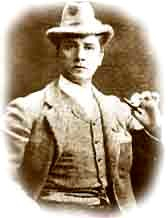 It is stated that at the time of his death, William Terriss had acquired the dramatic rights to Charles Hannan's Scottish novel The Wooing of Avis Grayle. He was to have played the part of Vane Iredale, the Judge, who is compelled by the decision of the Scottish jury to condemn his dearest friend to death for the crime of which he himself is guilty. Breezy Bill's ghost has been "seen" on many occasions. In 1928, he appeared in an Adelphi dressing room in the midst of a greenish mist. He appears at Covent Garden subway station. (He used to visit a bakery demolished when the station was built.) In 1955, he was sighted on the platform dressed in opera cloak and gloves with a sad face and sunken cheeks. The murdered man's ghost is also supposed to haunt Maiden Lane. Terriss' wife remained at the family home where she died the following year after a prolonged period of mourning. As she was independently wealthy, their three children shared the father's fortune of £20,000 [approx. 2.5 million dollars in 2016]. Their daughter, Ellaline, lived to be a hundred, dying in 1971. On the centenary of William Terriss' death, Sir Donald Sinden unveiled a memorial plaque to him at the Adelphi Theatre. For some time, Jessie Millward had been troubled by nightmares, in particular, one in which Terriss was calling out 'Sis! Sis!' from a locked room, the door of which she burst open to catch him as he fell. She was replaced in Secret Service by May Whitty and never appeared at the Adelphi again. In 1890, she visited the United States at the invitation of Charles Frohman and performed on Broadway. In 1907, she married John Glendinning, an actor and playwright. Millward published an autobiography in 1923, Myself and Others. She died in 1932. Richard Archer Prince was sent to Broadmoor, a prison for the criminally insane. There he achieved his goals. He became heavily involved in entertainments for the inmates and conducted the prison orchestra. He lived almost forty years after the murder, dying in 1936.